Make your mind up, Andy – are you finished with the crying game? AFTER he had performed beyond expectation, despite losing in in the first round of the Australian Open, BBC Sport posed the question: ‘Did we all retire Andy Murray too soon?’ However, the Beeb’s website might equally have written: Come on, Andy, make up your mind! Facing the media just three days earlier, a melancholic Murray had wept while announcing his impending retirement from professional tennis: at best, the plan was for a final bow at Wimbledon later this year; at worst, he feared quitting within days if suffering a painful embarrassment at the Australian Open. 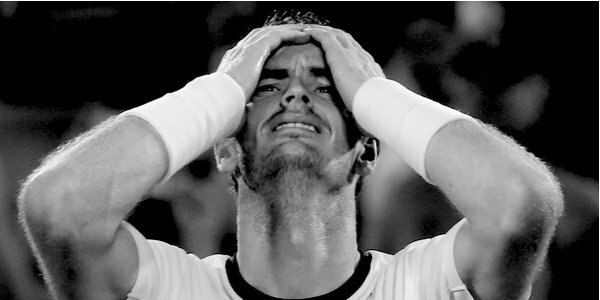 Not a complete volte-face; but enough vacillation to make one wonder why Murray had not kept schtum and stayed dry-eyed until after testing himself in the tournament. When earlier dangling the likelihood of imminent retirement, mournful Murray had prompted premature obituaries of a sporting life which, it now appears, might remain breathing for a while yet. In 2012 Virginia Wade labelled Andy Murray a ‘drama queen’ and before his final curtain there could yet be a prolonged deathbed scene. The earlier acts have of course earned Murray rave reviews, especially in Scotland. On January 12, the day after his maudlin media conference, scattered throughout the Scottish edition of the Daily Mail were 15 adulatory pages – repeat, 15 pages – including a front-page lead, for Scotland only, headlined ‘Game, set and matchless’. The Scottish chief sports writer was promoted to the comment section for a two-page paean to ‘Britain’s greatest ever sportsman’ (a fair claim; dissenting comments below the line please). And Saturday columnist Emma Cowing devoted most of her page to hailing Murray for ‘his role as feminist, constantly reminding others that women are just as talented as men in the sport’. Just as talented? Murray has been lauded by Billie Jean King, Serena Williams and other women for publicly supporting their championships having the same prize money and enjoying equal exposure on show courts; but surely even Murray, the ‘trailblazer for equality’, would not seriously contend that the standards of play by the leading male and female professionals are remotely comparable. Alan Brazil specialises in saloon-bar schtick; his pop at Murray was not the first time Brazil has been called a ‘caveman’, nor is it likely to be the last. Nonetheless, on this occasion Brazil’s bluster did contain an element of truth: even in this emotionally continent age, some of us still prefer heroes, sporting or otherwise, to possess a little more starch in their upper lip. Those characteristics made our joyless Jock the antithesis of his predecessor as the standard bearer for British tennis, Tim Henman. Despite their differing personalities, it is reported that the pair are good friends and each has spoken up for the other. Although Henman was at least one level below, and his playing achievements were much more modest, Murray has always been genuinely respectful – unlike many of his countrymen. ‘Lame, middle-of-the-road’, being one of the kinder comments from Scotland towards Tim Henman. It is best not to imagine what else would have been said of him had Henman’s mother been permanently by his side. Ubiquitous Judy Murray clearly relishes the limelight and reflected glory. Piggy-backing upon her younger son’s stellar career, the Murray matriarch has herself become a C-List celebrity, her variety of gigs ranging from Strictly Come Dancing to a weekly (non-sport) column in The Sunday Post. The comedy panel show Mock The Week once required the contestants to provide examples of Unlikely Things For Andy Murray To Think – with the man himself sitting in the audience. Wife Kim, who was not in Australia, has yet to comment.